Make Your Holiday Lighting Easier For 2013! 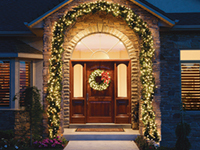 Make Your Holiday Lighting Easier For 2014! Imagine: no ladders, no bone-chilling weather, no tangled light strings. World Class Outdoor Lighting can take care of your holiday outdoor lighting. We install, take down and even store for you if you'de like. Fill out the quick form, or simply give us a call. Mention our website and receive an extra 10% off our holiday promotion.